PITTSBURGH & CHICAGO--(BUSINESS WIRE)--It’s been nearly 40 years since Kool-Aid Man first burst through the walls to the delight of kids and adults alike. 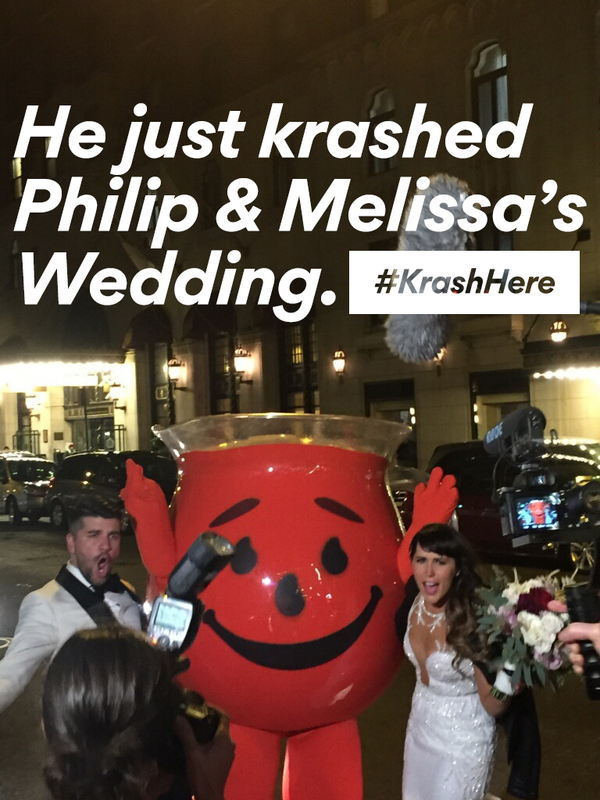 Starting today, the Kool-Aid brand is bringing Kool-Aid Man’s signature crash to one lucky fan in the real world with a national sweepstakes called #KrashHere. Fans can enter to win this once-in-a-lifetime experience by tweeting @koolaid, explaining why they want Kool-Aid Man to “krash” their party or event with the hashtags #KrashHere and #contest. The sweepstakes runs from today through Saturday, November 11 at 11:59 p.m. EST, and one lucky winner will be randomly selected on or around Monday, November 13. To be considered for the sweepstakes, fans must be over the age of 18 and live in the United States, excluding Hawaii and Alaska. 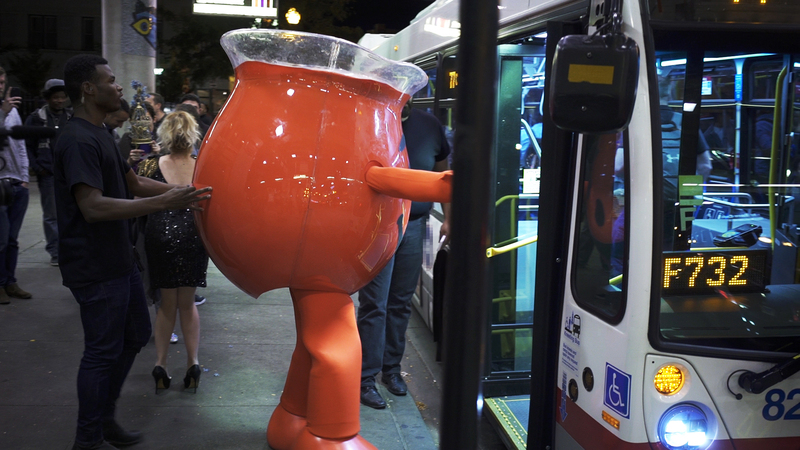 To learn more information about the sweepstakes, including official rules, fans can visit bit.ly/2whdKez or follow the brand on Twitter (@koolaid) for updates. 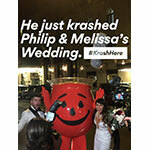 For more general information about the brand, visit www.koolaid.com. The Kraft Heinz Company (NASDAQ: KHC) is the third-largest food and beverage company in North America and the fifth-largest food and beverage company in the world, with eight $1 billion+ brands. A globally trusted producer of delicious foods, The Kraft Heinz Company provides high quality, great taste and nutrition for all eating occasions whether at home, in restaurants or on the go. The Company’s iconic brands include Kraft, Heinz, ABC, Capri Sun, Classico, Jell-O, Kool-Aid, Lunchables, Maxwell House, Ore-Ida, Oscar Mayer, Philadelphia, Planters, Plasmon, Quero, Smart Ones and Velveeta. The Kraft Heinz Company is dedicated to the sustainable health of our people, our planet and our Company. For more information, visit www.kraftheinzcompany.com .